Home Baby Products	Tike Tech CX3 Stroller Review and Giveaway! Tike Tech CX3 Stroller Review and Giveaway! When we first found out we were going to be parents, hubby and I absolutely agreed that a stroller was where we would spend most of our baby budget. There were a couple of good reasons behind the decision, but our first thought was that the stroller really was for us as a family, and getting one that was of high quality meant that we would actually want to use it. The ultimate goal was to find one that was easy to use, comfortable for extended distances, and was able to grow with us – all without completely obliterating our buggy budget. We finally settled on a travel system that worked with our car seat, but looking back now, I really wish Tike Tech had released their new 2009 line two years early! We’ve all seen them; strollers that cost more than my first car (seriously), and come with fancy schmancy features like speakers and rims that would make my current car green with envy. But, $1,000 + for a stroller? Not on my life. What if I told you that you could get a seriously awesome Tike Tech jogging stroller for between $200 and $350 that came loaded with features and handled better than the so-called premium stroller brands? It’s absolutely true – the Tike Tech line offers a full line of jogging, city and performance strollers with truly reasonable price tags. A few months ago I first noticed that something was a little off with our stroller. Every time I would run with baby or pick up speed to cross the street, or even just to quickstep it out of the rain, the left front wheel began to rattle and shake, causing the whole buggy to vibrate violently until I slowed to a walk. I didn’t think much of it the first few times it happened, but then when it happened numerous times a day during Stroller Strides, it began to get really hard to control unless I was merely leisurely walking. It was hubby who first made the connection between the stroller shudder and the swivel wheels, and he suggested we search for a fixed wheel jogger for the daily Stroller Strides beating. I found the Tike Tech line and was so excited to see that they offered so many options for an active stroller, and had numerous features to choose between. Since I’m not a runner by nature, I really didn’t need a full-on jogging stroller for daily use and realized I was looking more for an all terrain buggy that could easily convert between swivel and fixed wheel settings. When I found out Tike Tech had an all-terrain City stroller, I was dying to try it. As the name suggests, the CityX3 is a three wheeled stroller that is perfect for around town and more. With wheels that can handle virtually any terrain paired with Tike Tech’s exclusive Frame Dampening IFD Shox, you get one of the smoothest and most fluid handling strollers that I have ever used. The bigger tires and the front wheel that swivels allow you to make 360 degree turns with almost no effort at all. In fact, we have found that you can actually make those 360 degree turns one handed, while holding a steaming Pumpkin Spice Latte in the other. One handed operation has become a feature that is absolutely crucial to me the older my daughter gets. Between the unpredictability of a toddler and every parent’s need to multi-task while strolling, being able to have one hand free really does make all the difference in the world. Don’t be fooled by the Tike Tech City X3 name, this little stroller can handle both big cities and the big beautiful ‘burbs. The Tike Tech CityX3 is one part jogging stroller, one part all-terrain sport stroller and then a little of the traditional travel system thrown in to maximize the stroller’s usability. Since it has a shorter frame and a smaller footprint, the CX3 is perfect for crowded spaces that can’t handle a full jogger, but big enough to grow with your child and give you maximum freedom to roam. And, you can roam just about anywhere you can imagine, since the Tike Tech CX3 is ultra portable and, with the easy push button release wheels, folds compactly for travel. Most expectant parents are steered from baby joggers while stroller shopping, with clerks recommending that babies be 6 months + before rolling the sportier stroller varieties. All sound advice, if in fact the jogging stroller you’re considering doesn’t adapt for use with newborns. The Tike Tech company has absolutely changed my mind that jogging strollers are just for toddler and up by offering an additional car seat adaptor that allows you to click your child’s car seat onto the stroller and go. They even stock an optional bassinet attachment that converts your sport stroller into a pram beautifully, replacing the need to own more than one stroller. In the picture above we are taking full advantage of the awesome 60lb weight limit and letting a small reviewer rest his legs while we talk at a local art fair. Features I’m Raving About: Luxury for baby. With a padded seat and back support, one handed recline adjustment and a silky smooth ride, the Tike Tech is really the way to roll in ultimate comfort. It comes standard with special features that any baby or parent can appreciate, like a padded 5 point harness, mesh storage pockets on the seat sides for baby’s snacks and toys and the removable canopy for rain and sun. Speaking of raving, the Tike Tech canopy extends far lower than any other sporty stroller I have seen, which is perfect for Seattle’s unpredictable weather. The canopy is also multi-positional and offers a “moon roof” with cover for easy viewing of your little one. This is one of my favorite features since I am constantly trying to “wait out” the rain and refuse to go to the trouble of attaching a rain cover unless I’m in a full fledged downpour. The Tike Tech’s extra large canopy is perfect for simply saving me the hassle all together, since the large coverage area means I have never needed a full rain cover for any Seattle storm. Since hubby and I are both tall, we really appreciate the fact that the Tike Tech handle is fully adjustable in both directions, allowing for the greatest range of handlebar heights I have ever seen. Whether you are in the extra tall range, have a short stature, or find yourself in the middle of the old height bell curve, the Tike Tech is a surprisingly good fit all around. For couples who have a huge height difference, you will be happy to note that the handlebar adjustment is not only exceptional in range, it is also incredibly quick to adjust on the go. But, my favorite feature by far would have to be the height of the Tike Tech stroller seat. The extra tall stroller frame brings baby right up into the action and makes it easier to interact with her on the go. As a super duper added bonus, we love that we can simply wheel our daughter up to dining tables while we are out and still leave her strapped into the Tike Tech City X3 to eat with us at the table, with no need for an additional booster or high chair. Probably not a feature that was fully intended, but sometimes it’s the unexpected that you appreciate the most! If you are a jogger, speed walker, or merely an all terrain walker, you should seriously consider the Tike Tech CX3 as a great single stroller option. When you add up the savings of not having to purchase two (or more) strollers, the Tike Tech is well worth the already reasonable price. If you still need convincing, just consider it a gift to yourself that will keep you healthy, active and adventure ready… a gift baby is sure to appreciate too. One extremely lucky Rave and Review readers will win a Tike Tech CX3 of their very own ($330 ARV) from Tike Tech's new stroller stock! To enter to win the Giveaway, just visit Tike Tech Strollers and comment below with your favorite Tike Tech Stroller model (other than the City X3 reviewed here), favorite Tike Tech feature, or something you learned about the company that you're excited to share. Sorry, no color choice available, but you're in luck because all the color choices are beautiful! And, as always, there are extra entries available! 8) Comment love. Enter any of my other Giveaways or comment on any non-giveaway post. A big thank you to Tike Tech Strollers for making our family adventure ready with their new Tike Tech City X3 Stroller. No type of monetary compensation was received in exchange for this Rave Review. I love the City X4 Single Stroller! Voted for you at Top Baby Blogs! Voted for you on the top baby blogs website! I watched your video above. My favorite feature of the stroller above is the generous sunshade! Wow! That is a huge bonus. The stroller we have now has a shade that’s basically useless =( The stroller also folds down so nicely to a compact size. You can leave your stroller in the car and still fit your groceries! Cool! Visited the Tike Tech site. I remember visiting it a few years ago and they have made so many upgrades. It is a much nicer site now. My fav stroller is the Tike Tech CityX3 Swivel Twin. I have 2 kids and this would have been a lifesaver had I known about it. I LOVE that it’s suitable for newborns! Put the link on my facebook page!!! Crossing my fingers, we could really use this stroller. LOVE their X3 Sport Single!!! I love the CityX4 Swivel Single Stroller along with the bassinet attachment in what looks live navy or black. I really like the Tike Tech bassinet – updated pram! Awesome! I really like the x3 sport single. all of them look great. I have your button .1. I have your button 2. Okay so that video was actually quite interesting! I really like how you can click the front wheel either to swivel, or to lock in place for jogging; I also really like that you can change the angle of the seat for if the kiddo falls asleep; the brake bar that stretched across the back was really nice, too. bonus entry #1 – emailed family and cc’d you! bonus entry #2 – emailed family and cc’d you! My sister would love the BS-9 series Bassinet feature for the stroller. I would have loved to have that for my girls as well. Reminds me of an antique stroller! All the accessories you can get for the stroller are fantastic! I love that you can take the wheels off for ease of transporting or storage and that the wheels just pop back on with the little button on the wheel. How fast he had everything ready to go! I like the All Terrain X3 Sport Single Stroller. I like the All Terrain X3 Sport Single Stroller, as well. I entered the Madeline giveaway. I love the x3sport single. i also love the foot muffs accessory you can order to keep baby warm without having a blanket that can fall out of the stroller and get dirty. I like the CityX4 Swivel Single Stroller. The swivel is a very nice feature. I entered your Bei Bambini giveaway. I subscribe. Thank Bitty’s emails. Coolest thing on the video is the adapter for a car seat. I have a travel system, but my newborn is already too big for the car seat that goes with it, but he isn’t big enough just to ride in the stroller! cdziuba@aol.com I learned this: Is my Tike Tech fabric washable? All Tike Tech fabrics are made from a durable yet soft 600d Oxford. The seat fabric is removable and machine washable in cold water – although we always suggest hand washing to preserve the fabrics true color. With respect to the canopies we suggest spot cleaning. Please note, all Tike Tech fabrics should be air dried (no machine drying). For best results place the cleaned fabric back on the stroller frame shortly after washing. cdziuba@aol.com I watched the video and appreciate that the wheels are easy to attach and detach!! I love that the wheels are removable! What a cool stroller! I entered the Madeline doll giveaway. I entered the Xtrema giveaway. I entered the Zhu Zhu Pet giveaway. I voted for you on Top Baby Blogs again today 11/15. I loved the X3 Sport twin stroller in orange. It would be very convenient for my 2 tykes under 2. I really Love the X3 Sport Single! I voted for you on Top Baby Blogs today 11/16. I love that all products are tested vigorously for safety! Thanks for the great review. I love the City X4 Stroller. I like the Tike Tech CityX3 Swivel Twin. I like that it is made of aluminum which makes it really light. We don’t have a very big trunk so we can’t have anything really heavy to lug in and out. Entered Zhu Zhu Pet giveaway. My favorite is the CityX4. I like X3 Sport Scroller. I like the “City X3 Twin”. I have to say one of my favorite Tike Tech stroller features is the versatility that enables use for all seasons, including winter!!! That’s a must for us cold- region dwellers. Oh, and the color choices are fantastic! I like the Bassinets for the younger ones. The blue All Terrain X3 Sport Single Stroller looks great! my favorite is the x3 sport single stroller! I love the bassinet accessory. How nice when you have a newborn baby to alow them to sleep while you stroll! I LOVE that you can adjust the handle height! I watched the youtube video and was excited to hear about the detachable tires! I have a small car and need all the space I can get in my trunk! I also like the City X3 twin! I like that it folds down so low! I love the X3 Sport Single Stroller. I like the colors available. I also love the City X4 Single Stroller. Thanks! I love the CityX4 Swivel Single Stroller! I like the X3 Sport Single. Thanks! My favorite Tike Tech features are the 5 point harness and storage baskets. I love the quick one step fold up design. As a parent, your hands are always full. I entered the Masala tunic giveaway. I like the all terrain x3 stroller. Thanks for the chance. I like the BS9 bassinets! The Mini Snack and Pack Stroller Bag is awesome! Wish I had one. It was great to see this statement on their website. “Can I use my Tike Tech all year or just in the summer? The All Terrain X3 Sport Twin Stroller is my favorite! I love the CityX4 Swivel Single Stroller! Thanks! Those Foot Muffs are cute! I voted for you on Top Baby Blogs today 11/18. I love the X3 Sport single stroller. I like the CityX4 Swivel Single Stroller. I love that it has an adjustable handle bar. Besides for this one I love the X3 Sport Single Stroller! Keep up the great reviews!! I do like the All Terrain X3 Sport Single Stroller. I voted for you in top baby blogs today 11/19. I like the X3 Sport. Would be the bomb for camping and hiking trails. Posted to my facebook. This is a super cool stroller and boy have they come along way! I still have the Jogger that I used for my now 22 yr old sun. It is faded a little rusty and squeaky but it served its purpose. But nothing compared to this Cadilac of a stroller! I watched the video and really like the shock absorbers. They would be great for taking a walk down our long, bumpy driveway. I like the X3 Sport Single. I like the All Season Covers for their strollers. The youtube was AWESOME! Would LOVE this! The All Terrain X3 Sport Single Stroller looks awesome! I love the great accessories-especially the bassinets! I like the City X4 Single Stroller & I would love the height of the stroller! Thanks! watched the video – so many cool features! love the fact that the front tire has the option for locking in place OR being mobile, love the shocks, and love that the tires pop off with a push button. i also appreciate that those hinges are covered with pads so baby’s fingers don’t get caught. great stroller! wups! tried to do #1 twice. d’oh! The City X4 would be great for me. We also like the City X4 Single Stroller. These all look like very high quality strollers. Thank you for the chance to win. I voted for your blog! Thanks! I like the City X4 single stroller too. I entered the masala baby giveaway too! I entered the Madeline Giveaway! I entered the Leapfrog Giveaway! I love the bassinet strollers. What a cozy place for baby!! I voted for you in Top Baby blogs 11/26. I like the All Terrain X3 Sport Single Stroller! I love the CX3 in red. It’s great that it has an adjustable handle. There is a foot and a half difference in height between me and hubby- so this is very handy! I voted for you in Top Baby blogs 11/27. I would love to own the CityX3 Swivel Twin Stroller. I voted for you in Top Baby blogs today 11/28. I love the affordability of these strollers. I’m with ya, there is no way I would spend $1,000+ on a stroller. However, I don’t want to compromise quality. The Tike Tech seems to be the best of both worlds. I subscribed and I also watched the video. The feature I’m most excited about is the swivel handlebar. My husband is 6’5″ and he is always complaining that strollers are too short for him. Plus, that baby is adorable. I loved it when she stuck out her tongue. So cute!! I voted for you in Top Baby blogs today 11/29. I subscribe entry 1! Thanks! I subscribe entry 2! Thanks! I voted for you on Top Baby Blogs today 11/30. Call me crazy but the snap in car seat adapter is amazing – I am so excited for the lil one to be here! I voted for you at Top Baby Blogs today 12/1. I like the City X3 Twin stroller. I am expecting my second daughter this month and have a toddler. I like that it has a swivel wheel and is slim enough to fit through standard doorways. Thanks for the chance to win! I posted your holiday button too! Voted for you today 12/2 at Top Baby Blogs. I like the Twin City X3. I like the CityX4 Swivel Single Stroller. I like the All Terrain X3 Sport Twin Stroller, it looks rugged enough to last a long time! I voted for you at Top Baby Blogs today 12/4. Love this for my grandchildren as we can all adjust the handle height. City x3 twin is narrow enough for doorways and light enough to be lifted into the car. My favorite model …the All Terrain X3 Sport Twin Stroller. I entered the Sondra Roberts Handbag Giveaway. I entered the The Pretty Peacock Personalized Jewelry Giveaway. I entered the Maukilo Toys $25 Gift Card Giveaway! I commented on the NERF Dart Tag FuryFire! post. I entered the Däv Rain Boots Review and Giveaway. I entered theDarda Victory Lane NASCAR Race Set Giveaway. I entered the Skin MD Shielding Lotion Giveaway. I entered the SuperStructs Giveaway from GlammaTOYS. I entered the Xtrema Green Bakeware by Ceramcor – A Giveaway Just in Time for the Holidays! I entered the Ben 10 Toys by Bandai Review and Giveaway. I entered the LeapFrog My Pal Scout Giveaway. I entered the Zhu Zhu Pets Giveaway! I entered the Masala Baby India-Inspired Children’s Wear – Review and Giveaway. I entered theMadeline Turns 70 and We’re Having a Giveaway to Celebrate. I love the Tike Tech X3 Sport Twin Stroller for 2! Voted for you today 12/5 on Top Baby Blogs. I love the CityX4 Swivel Single Stroller. i’m voting for you every day! I love the double stroller on the Tike Tech site! I’ve blogged about this giveaway with links to your blog, this contest, and Tike Tech Strollers. 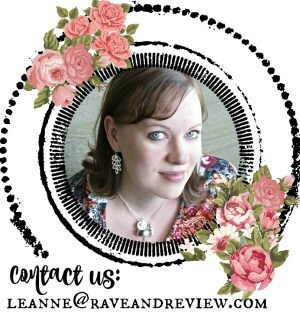 I’ve added a permanent link to Rave and Review on my sidebar. I voted for you today 12/6 on Top Baby Blogs. I love the X3 Sport Twin. I also like the CityX4 single in orange. I entered your Corolle baby doll set giveaway. I voted for you today 12/7 at Top Baby Blogs. I love the city x4 single the best, but the bassinet feature is awesome too. I voted for you today 12/8 at Top Baby Blogs. I liked the All Terrain X3 Sport Single Stroller and my favorite tike tech feature is that they are carseat compatable. I voted today for your blog! Thanks! I voted for you today 11/9 for Top Baby Blogs. I voted for you today 12/10 at Top Baby Blogs. I subscribe to Rave and Review. I voted for you today 12/11 at Top Baby Blogs. Follow both on Twitter & tweeted @ http://twitter.com/Naddez/status/6573800797. I like how the safety latch is covered to protect the children from getting their fingers caught. My favorite model is the CityX4 Swivel Single Stroller! I entered the rain boots giveaway! I love the All Terrain X3 Sport and the colors are awesome! I voted for you today 12/12 at top baby blogs. I have to agree that the sunshade is a great feature of this stroller, as is the single front wheel for easier manuverability, and the larger wheels for a more comfortable ride. I’d love to use this as a daily and an occasional jogging stroller too. Thanks! I like the Swivel Twin. I can’t believe how many upgrades have been made since my own kids were small. It’s so comfortable for the kids to ride today, and I love the newborn adaptation. My kids always loved it when I ran with them. I love the All Terrain X3 Sport Single Stroller. Gorgeous strollers – all of them but the All Terrain X3 Sport Single Stroller actually makes me want to go out for a run! I love the City x4 single. Went to the Tike Tech website and my favorite feature is the car seat adapter! Watched the YouTube video: love the large canopy! I watched the video and I loved the fact that it can attach the infant car seat to it. I entered the Sondra Roberts Handbag Giveaway! my daughter’s girlfiend is very much in need. My other favorite would be the All Terrain X3 Sport, looks like it would be great on trails. I like the City X4 single! The X3 Sport Single would be perfect for when hubby takes our little one out for some air! CityX4 Swivel Single Stroller- like that it has dual rear suspension on it for a good ride. The All Terrain X# SPort SIngle is nice too! I am impressed that the Tike Tech has foot muffs available because in the NW, we need our baby’s feet to stay warm and cozy! This is a luxury vehicle! I also like the x3 Sport Single on the site! Love the All Terrain X3 Sport Single Stroller. I’d get it in blue! I like the CityX4 Swivel Single Stroller! Thanks! I love the All Terrain X3 Sport Twin Stroller. It looks like a great and sturdy stroller. I also like the All Terrain X3 Sport Single.. I walk/Run on our local walking path and I can go off the path onto a dirt path buts its hard with the baby Stroller.. I also love the X3 Sport twin! I am in LOVE with the All Terrain X3 Sport Single Stroller… Living in Colorado we travel the road less travelled sometimes… This stroller really makes me believe it would hold up and then some! *** and BONUS FACT, They are STAIN RESISTANT, yep this is a must in our home, lol! The All Terrain X3 Sport Single Stroller is spmething I could really use. It looks fantastic! I like the City X4 stroller. I voted for you today 12/13 at Top Baby Blogs. Love the X3 Sport Twin Stroller, it looks so sturdy & rugged! I love the CityX4 Swivel Single Stroller, thanks! The All Terrain X3 Sport Single Stroller looks awesome! I would love to have this for my son. Thank you!! Love their X3 Sport Single! Now thats nice. My fave is the CityX4 Swivel Single Stroller, it’s great that it’s lightweight! I like the CityX4 Swivel Single Stroller, besides the one reviewed. Love the X3 Sport Twin Stroller. We know a couple who are expecting twins next year, and this would be great, and I will recommend it to them. I like the All Terrain X3 Sport Twin Stroller! i like the city x4 single stroller!